Coast Guard Beach a short bike-ride away! 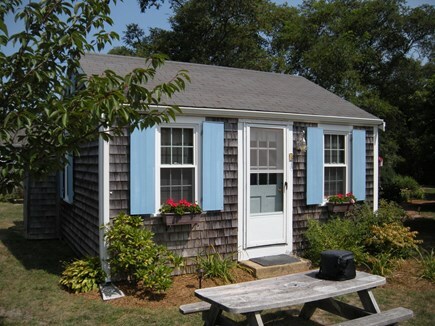 Enjoy Truro's dunes and National Seashore in this antique Cape Cod cottage on Shore Rd. 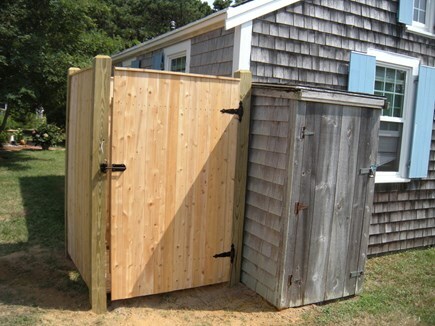 Minutes to Provincetown and bay & ocean beaches. One bedroom with a double bed, one bath. 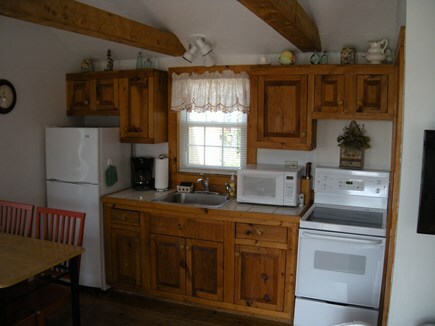 Kitchen with stove, refrigerator and microwave oven. 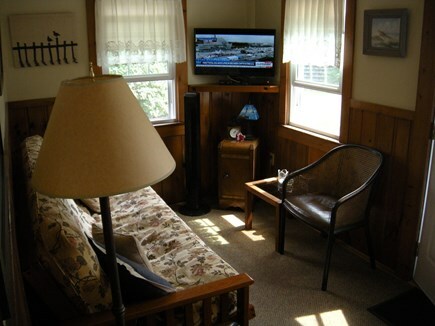 Living room with pull-out sofa, color, cable television and dvd player. Outside shower. Picnic table with bbq grill just outside. 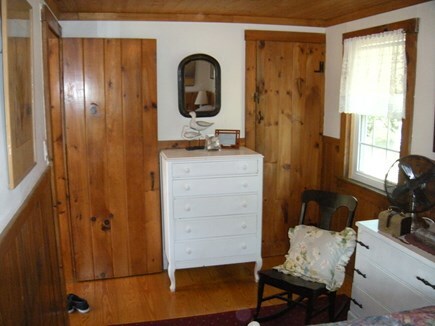 Mark's cottage is an extremely quaint hide-away and a gem. My husband and I stayed in #4 for a week. Nice kitchen fully stocked with everything you may need, microwave/coffee maker, nice couch area, open floor plan and a comfortable futon and flat screen tv. BBQ outside and an outside shower from coming back from the beach. Mark is a wonderful host and we plan to book the same week in May 2019! Thank you, Mark, for everything. You can't go wrong on this place! I have stayed in both of Mark's cottages for over 20 years and I wouldn't even consider looking elsewhere. 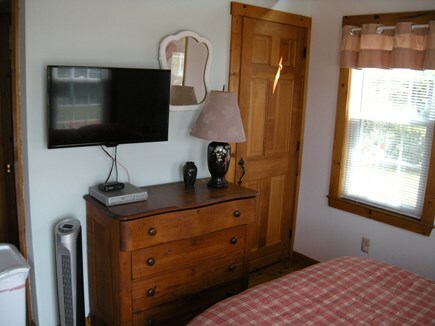 Both cottages are clean, nicely appointed, have that "old Cape Cod Charm" and have every type of cookware/ dishes/ utensils you could ever possibly need. The compound is quiet, friendly and the grounds are always nicely maintained. 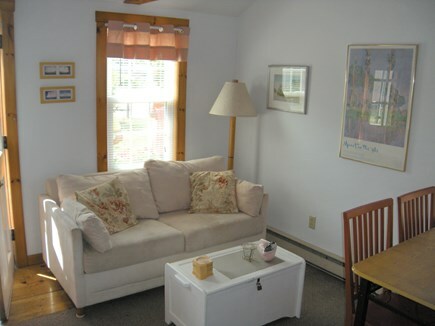 The cottages are conveniently located between Cape Cod's most beautiful bayside and ocean beaches and to anything you could possibly need during your stay. During the busy summer months the Shuttle to Provincetown stops right out front affording you the hassle of not having to drive and pay to park in town. 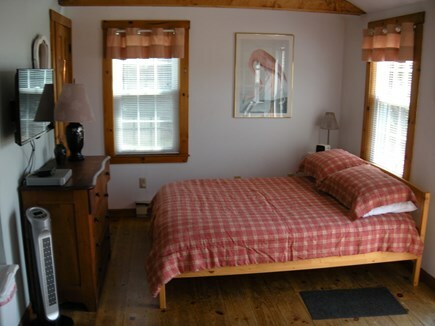 Off season, both cottages have excellent heat for those chilly nights. You will surely sweat before you ever get cold! Mark is delightful to deal with as a landlord - professional, personable and responds in a timely manner. I plan to keep staying there in the spring, summer and fall for another 20 years! Dear Mary Ellen, I can't thank you enough for all the years you have stayed with me along with your friendship over the years. I feel like you are a sister I have never met. haha Thank you for taking such good care of the cottage as well. I am very lucky to have a renter like you for so long and I am so grateful too. You have made my day. I look forward to the next 20 years with you at the cottage. It's your home too! THANK YOU! I can't thank you enough for your kind words and for always coming back to the cottage. Going on my 26th year of doing this, I am always so honored and proud when people like you folks come back each year. I feel lucky to have you both! Thank you! 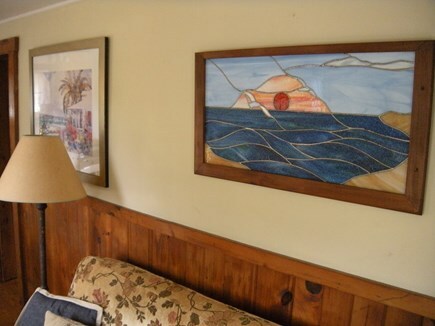 Thank you for viewing our listing. 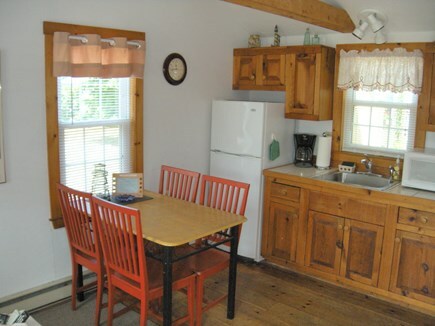 I have been in business renting this cottage for over twenty-five years. 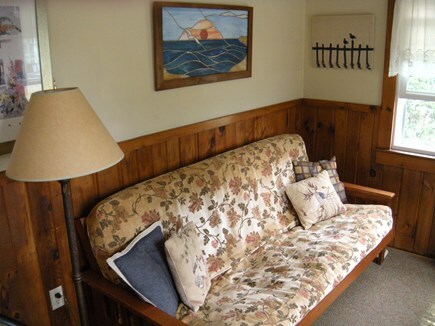 I love our area and enjoy sharing the cottage with others. We have had families with children. When the children grow up, we've hosted them with their children. We have had three generations of the same family stay in our cottage. Also, too-many-to-count honeymoon vacations here. I am proud to say that we have an over 80 percent return rate and I am grateful to everyone for that! 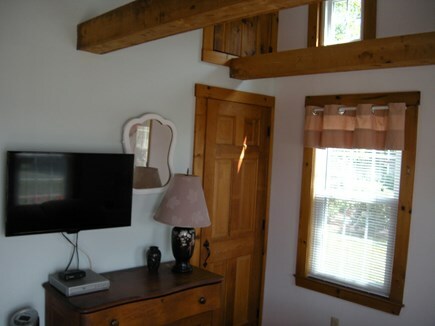 If you're looking for a quiet antique cottage on the dunes near the National Seashore at an incredible price, this is your spot! 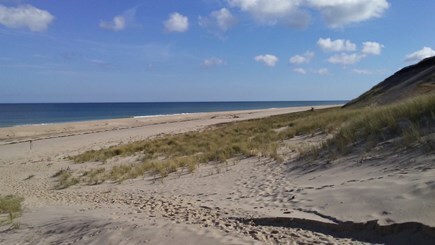 We are the most rural town on Cape Cod, with miles of beach and dunes on the National Seashore. 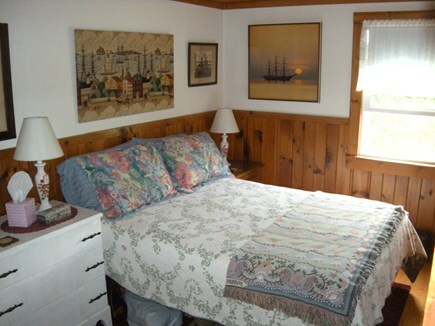 We're three and a half miles away from Provincetown with it's abundance of great restaurants, shopping and night life.